I will be holding a day of full sessions for babies aged 7-11months. A Sitter Session is perfect for little ones who are able to sit unaided but aren’t able to get themselves about yet. At this age they really start to show character. 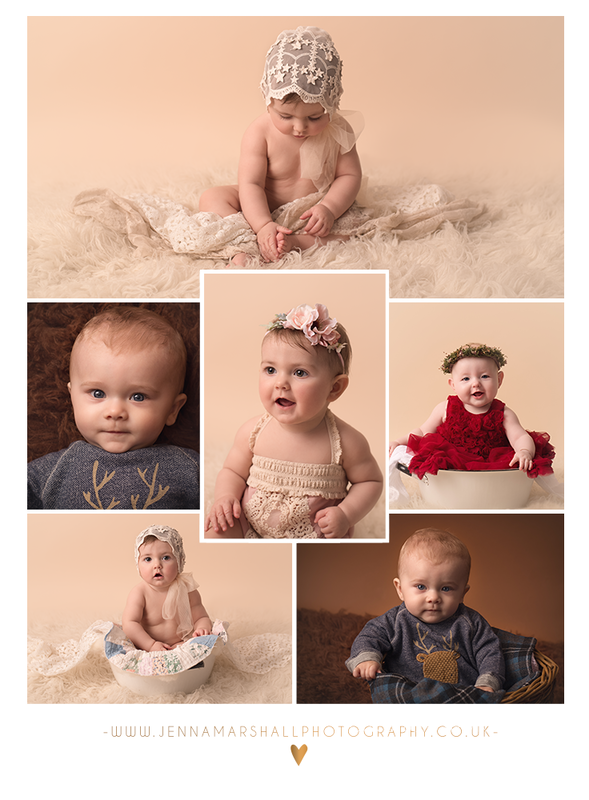 I supply props including outfits to use during these sessions that will give you timeless portraits of your child. One cream backdrop set up and one chestnut. Either a cream backdrop or chestnut backdrop. You will receive all images as high resolution digital files which will be emailed to you. You will also receive a 7″x5″ print of each image.